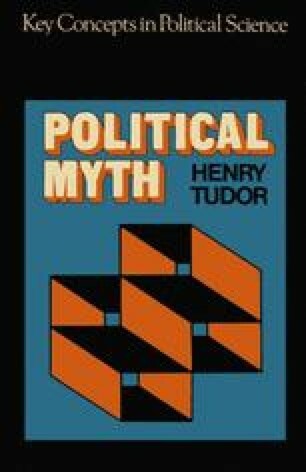 Part of the reason why political myths have attracted so little attention in the academic world is that they are usually deployed together with other and more familiar kinds of discourse. They get, so to speak, lost in the wood, and it is easy to see how this can happen. Although the myth-maker possesses, in his myth, a simple and persuasive argument, the cultural context in which he operates is often extremely complex. His account will inevitably deal with matters touched upon also by philosophers, historians and scientists; and he will find it urged against him that what he asserts to be true (from the standpoint of his myth) is scientifically, historically or philosophically false. It is, therefore, not surprising that he should feel unable to leave well enough alone. If he is to persuade his audience, he must show that his message is consistent with the prevailing culture of his time; and thus he will be drawn into controversies which have nothing mythical about them. The result is, as often as not, that he incorporates his myth into the framework of a general ideology.